7 December 2017, at 12:10a.m. 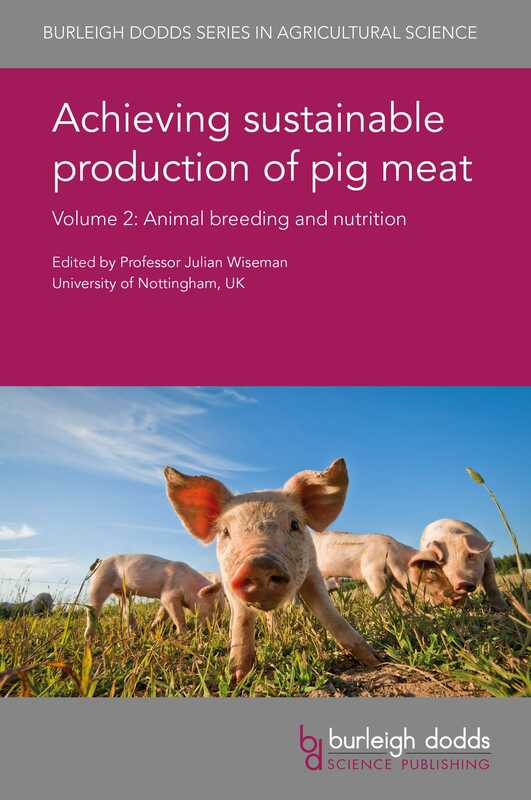 As Professor Julian Wiseman states in his introduction to the volume, ‘pig meat is the most widely-consumed meat in the world, accounting for 40% of the world’s overall meat consumption’. With such growth in consumption and therefore demand, pig production has relied on the intensification of breeding and rearing, and the movement to much larger production systems. With the growing pressure to improve the sustainability of production while continuing to meet demands, innovation and the adoption of best-practice management methods by producers is crucial to achieving sustainable and productive farming. With this comes the growing pressure to improve feed efficiency, but in the face of rising feed costs, this is no easy task for producers. Environmental impact is also a critical factor for producers to consider as regulations are put in place to manage, correct and protect the damage that farming has, and can do when best-practice methods are not adhered to. Consumer concern and demand for higher welfare products is also dictating on-farm management practice, as well as trade markets worldwide. It is essential that producers are well-informed about the impacts of better welfare on improving the health and productivity of their herd, and on improving consumer trust in their products. What sets this book apart is its provision of such a comprehensive review of developments in pig nutrition as well as breeding. To do this, it brings together some of the world’s leading experts in this field of research to produce an unbiased, accurate and accessible guide to a critical part of pig production. A key message from the book is the way improved nutrition not only enhances efficient feed conversion but promotes overall health and reproductive performance. This book is recommended for academic researchers in swine science; pig producers; pig meat processors; government and non-governmental agencies supporting sustainable pig meat production. The publishers, Burleigh Dodds, recommend completing the collection with Volume 1 and Volume 2. You can buy this book and others in the series online here.